Howdy folks. This rather gruesome (**non-vegan! **) image is the cover of the newest anthology that my writing is a part of. 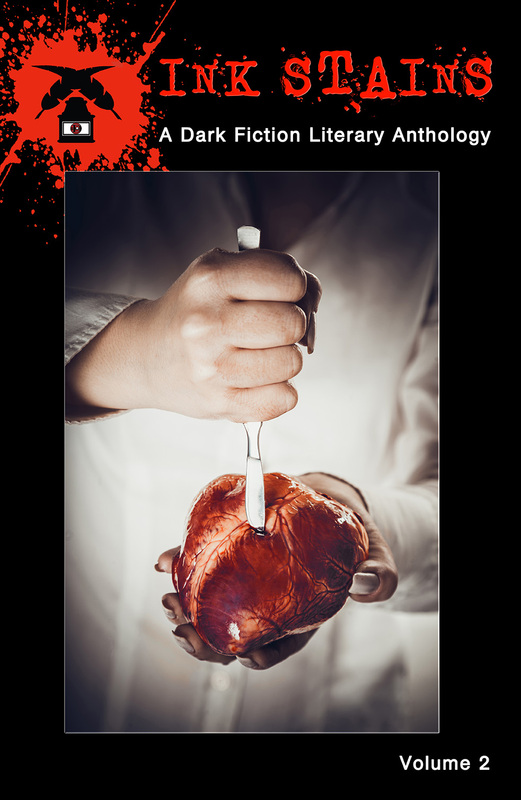 Published by Dark Alley Press, the anthology contains seven gritty, dark fictions. My story Yellow Pill is a suspenseful tale about Lata, who begins to become increasingly suspicious about the pills her boyfriend Joseph takes for his asthma. He seems to take them an awful lot. He’s cagey about where he gets them from. The local pharmacy is even hounding her, after they ran some tests and didn’t even recognise what the hell they were. Things get much worse when Lara decides to take one of the pills herself. Ink Stains Volume 2 can be purchased here at Amazon – either as an ebook, or print. Happy reading….